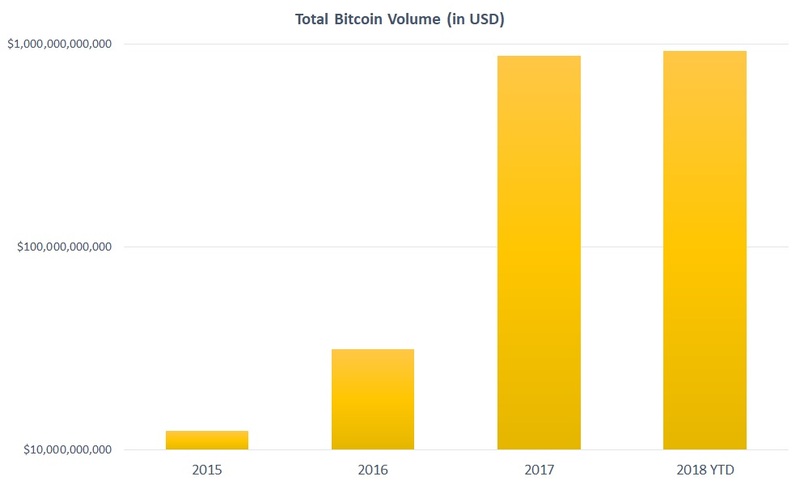 Despite its recent setbacks, bitcoin remains a highly intriguing investment. We’ve already seen what a favorable entry point into the cryptocurrency can do; undoubtedly, many are scheming for a repeat. The idea, of course, is to buy the digital token at a discount. So why on earth would anyone want to pay a 60% premium? On surface level, it seems absolutely crazy to pay so much more for a digital asset that’s now easily acquired. For instance, I can simply create a Coinbase account and with either a credit/debit card or my bank account, I can purchase major cryptocurrencies. Given the wild dynamics of the bitcoin price and how this translates to GBTC’s valuation, the premium worsened. Based on the trust’s disclosures, each share is worth a little over 0.1% of the underlining cryptocurrency. With the time of writing bitcoin price, this equates to nearly a 62% premium. Again, crypto critics raise a valid question: Who would pay for such a premium when virtual currencies are going mainstream? However, buying bitcoin stock isn’t as ridiculous when you drill down into the details. For starters, rising engagement in crypto markets indicates a potential paradigm shift in investing behavior. Barring unusual circumstances, this year bitcoin’s total trading-volume value will greatly exceed $1 trillion. Granted, this is mostly due to the soaring bitcoin price. Nevertheless, people have to be willing to buy at these elevated levels, and they clearly are. Secondly, cryptos are unlike any other investment. It’s myopic to use standard metrics to determine fund premiums when there’s nothing standard about this industry. But those are general concepts. Here are three specific reasons why you may want to consider bitcoin stock. We’ve all heard horror stories associated with cryptocurrencies, ranging from losing passwords, to hacking incidents, to even throwing away hard drives worth millions today. Although I consider blockchain a revolutionary technology, it is still very young, and therefore, vulnerable. Many investors don’t want to deal with these severe, extracurricular headaches, and I can understand this dilemma. At the same time, they want to enjoy the profits from a rapidly skyrocketing bitcoin price. Having witnessed the original digital token rise from one unprecedented level to another, I think a comeback is almost inevitable. Therefore, buying bitcoin stock gives me a chance to enjoy potentially wild profits, but with the same protections seen in traditional investments. I still have to trust that Bitcoin Investment Trust will responsibly hold their assets. But with offline storage options, this issue shouldn’t be a problem. At the end of the day, my biggest worry is market risk, which is the same risk for any investment. Is it worth a 62% premium? To some people who otherwise wouldn’t jump on a once-in-a-century opportunity, it’s worth every penny. Ever since the bitcoin price mooned, I’ve seen more investment advisory companies push crypto stocks. The idea here is that you shouldn’t buy virtual currencies because they’re too wild and speculative. Instead, you should focus on publicly traded companies that are somehow related to the blockchain. The usual suspects are Nvidia Corporation (NASDAQ:NVDA) and Advanced Micro Devices, Inc. (NASDAQ:AMD), and for good reason. Crypto miners regularly utilize their high-powered processors in a bid to validate transactions in blockchain, and receive a digital token as a reward. But neither Nvidia or AMD is what I would consider a bitcoin stock. While they’re very important to blockchain’s progression, they have several core businesses. Any one of these businesses could spike or drop their respective company’s market value, irrespective of cryptocurrencies. GBTC is the only legitimate and established bitcoin stock available today. Now, I have to warn you: it isn’t perfect. Aside from the premium issue, virtual currencies trade 24/7, 365 days a year. GBTC obviously does not. However, if you’re looking for a pure bitcoin stock that’s the perfect blend between protection and performance, GBTC is it. 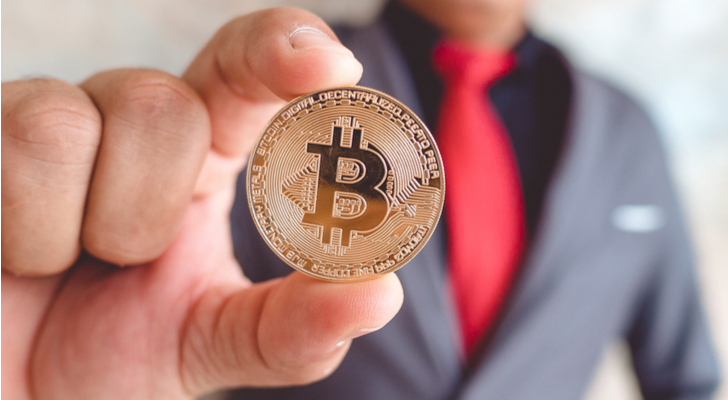 Two months ago, I wrote an article entitled, “The Unofficial Guide to Cryptocurrency Taxes.” Hopefully, the information provided laid the groundwork for dealing with the IRS in case you profited from the bitcoin price. You may want to bookmark my piece for future reference, but I can almost guarantee you that I’ll write a better one next year. You see, the IRS is on the hunt for crypto tax evaders, but it’s its own worst enemy. The tax code for virtual currencies is extremely vague, and it needs revision. Once that time comes, we’ll work it out together. But no matter what, the IRS has its crosshairs on all things crypto. If you banked a pittance, it probably won’t care about you. But if you ended up buying one of Ferrari NV’s (NYSE:RACE) Italian beauties, guess what? You’re getting a knock on the door. I don’t care how legitimate your tax returns are. With bitcoin stock? You can make all the profits in the world. For that tax year, your brokerage firm will provide you and the IRS the transaction details. You don’t have to worry about being under extra scrutiny because all the records are automatically kept. In other words, you can enjoy your Ferrari without having to look over your back! As of this writing, Josh Enomoto is long bitcoin. Article printed from InvestorPlace Media, https://investorplace.com/2018/04/as-prices-heat-up-dont-overlook-bitcoin-investment-trust/.